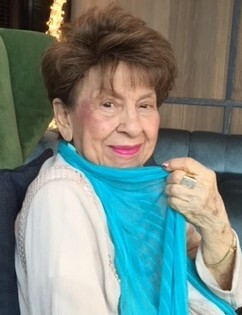 Maria Christiano (née Evangelista), 93 of Nutley passed away peacefully on August 17, 2018. A funeral service will be held in the Galante Funeral Home, 54 Roseland Ave. Caldwell on Tuesday at 10:30 AM. Entombment will follow at Restland Memorial Park. Visitation is on Monday from 4-8 PM. Maria lived in Belleville before moving to Nutley many years ago. She was a hairdresser and a manicurist at Salon D’Or in Millburn; and enjoyed cooking for her family. Maria was the beloved wife of the late Angelo; loving mother of Angela Christiano; and adored grandmother of David Marcovici. In lieu of flowers, donations in her memory may be made to Eva’s Village in Paterson, or to St. John’s Soup Kitchen in Newark.